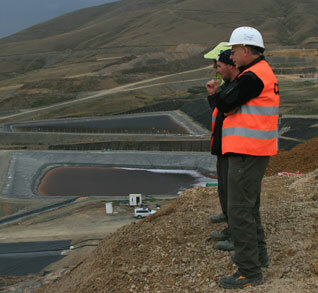 CQA International is experienced in the design, construction and Quality Assurance of EU compliant landfills for both hazardous and non-hazardous wastes and has been responsible for all stages of the development of landfills in the UK, Ireland, Portugal, Azerbaijan, Turkey, Georgia, Romania, Cyprus & Kuwait. 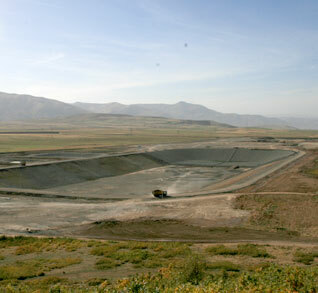 Landfill projects entail the detailed design of landfill facilities, waste to energy landfill gas management/utilisation, capping, restoration and closure to EU standards; contract and construction project management; permitting; construction quality assurance and compliance reporting and environmental protection. We also specialise in dumpsite and landfill remediation and land re-use. Talk to us about how we can help you with your landfill project. CQA International's personnel have many years experience in the provision of engineering services to mineral and metal mines in North and South America, the UK, Russia, Africa and most recently in Mexico and Azerbaijan. Services provided include pit slope stability evaluations, heap leach pad designs for gold, silver and copper mines, spoil pile and waste dump designs and tailings storage facility designs for gold mines, lead zinc, bauxite and oil sands mines. CQA also has expertise in underground mapping, dewatering, effluent treatment, environmental monitoring and in the preparation of environmental impact assessments (EIA's). The Company has an experienced team of design and construction engineers with mining experience. 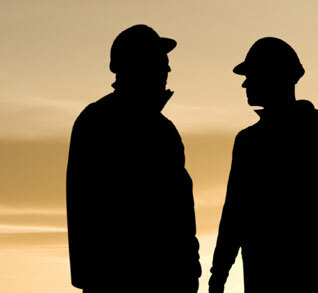 Talk to us about how we can help you with your mining project. CQA International has been instrumental in assessing and delivering services that play a vital role in a country’s infrastructure including road design and investigation, pipeline route appraisal, embankments, reservoir failure assessment, soil and rock slope design and ground investigations for large scale industrial developments. We have also designed pipeline routes, roads and foundations in the mining, oil and civil sectors. 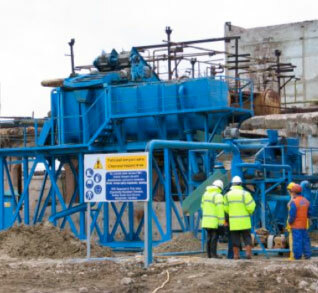 Our geotechnical expertise and worldwide track record of success is relied upon time and again. Talk to us about how we can help you with your geotechnical engineering project. CQA International’s remediation experience is extensive and includes planning, design, permitting and implementation of major projects around the world. We have worked on the remediation of pollution from mercury in soil, water and building materials; hydrocarbons, heavy metals and organic compounds involving site areas of up to 15 square kilometers. We have designed and supervised techniques including soil washing, in-situ bioremediation, land farming, incorporation into asphalt, and a range of water treatment methods. We have also carried out phase 1 and 2 surveys of industrial sites and produced remediation plans and strategies, and have a wealth of experience negotiating liability and responsibility for incidents. Talk to us about how we can help you with your environmental remediation project. We offer many different services relating to the development and protection of water resources. These include: Water abstraction design and permitting, environmental impact studies, de-watering for engineering and mining purposes, reconnaissance mapping of aquifers and resources, leachate effluent treatment, reed bed treatment systems, engineered wetland design and aquifer storage and recovery. Talk to us about how we can help you with your water resources project. In addition to delivering projects within our fields of expertise, we also offer project management services for all kinds of environmental, geotechnical and civil engineering assignments. Depending on the nature of the project, we will appoint a resident project manager who will also be the technical specialist throughout its implementation. 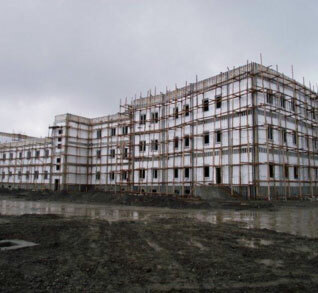 In the past, we have delivered this service on numerous projects including the World Bank funded design of general and village hospitals hospitals in Azerbaijan, where we were responsible for the design, architecture and engineering, permitting, procurement, construction supervision, financial performance and reporting of the whole operation. 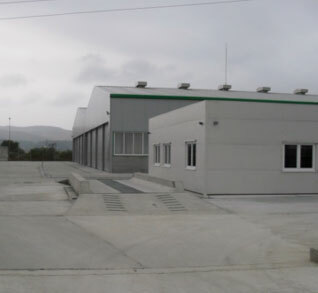 We have delivered an EU-funded, integrated waste management project in Romania, a hazardous mine tailings restoration project in Kosovo, and given procurement assistance for a waste to energy incinerator in Azerbaijan. Talk to us to discuss how our project management service can help you. CQA International has expertise in the planning of municipal, industrial and hazardous waste management systems and has developed Integrated Waste Management plans for both government and industrial clients in several states of the former USSR and the Middle East. We have also undertaken projects concerning waste recycling, composting and incineration. Our Waste Management service incorporates the planning, design and implementation of new waste management sites and the remediation of existing waste disposal sites. All feasibility studies; permitting; EIA; construction supervision; contractual management; compliance verification and monitoring is undertaken by CQA. Talk to us about how we can help you with your waste management project. CQA International have been using their technical expertise and their hands-on, practical ability to focus on clients’ requirements to consistently understand and solve problems across the world for the past 25 years. We specialise containment engineering with particular emphasis on protecting the earth’s natural resources. Our vast global experience within waste management, mining engineering, geotechnical engineering, environmental engineering and remediation, water resource management and project management is supported by a range of complimentary services that have been developed on successful completion of projects. Take a look in more detail by browsing the map to see just some of the projects we’ve delivered to date and do not hesitate to contact us to discuss your needs, regardless of scale, complexity or location. Assessment of the stability of the temple of the oracle Amun at Siwa oasis. Included evaluation of stability and provision of sympathetic remediation measures to prevent further deterioration of the hill on which the temple stands. Evaluation of waste disposal options for the every facility of the Qatar oil and gas field including onshore, offshore islands, production platforms and terminals. Due diligence investigation of auto parts factory in Poland prior to purchase by American client. Detailed design, permitting and construction supervision of modern hospitals, including civil works, finishing and equipment.. 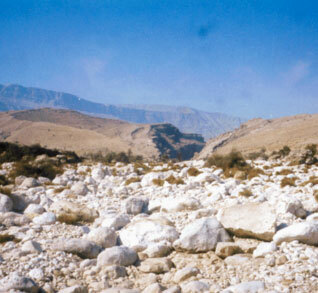 Detailed evaluation of a 15km mine access road through steep mountainous terrain and recommendations for improvement. Evaluation of possible locations for oil export facilities, including terminals and pipelines, with recommendations for further investigation.